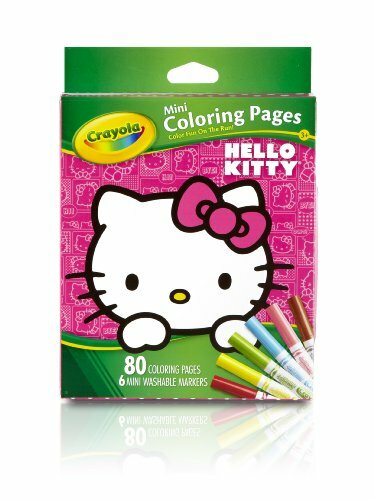 HELLO KITTY: Say hello to our portable coloring activity that provides hours of on-the-go fun. Hello Kitty theme. Includes 80 Mini Coloring Pages and 6 Crayola Washable Mini Markers. CHARACTER LOVE: Engage your young artist's imagination with Crayola kits and sets inspired by their favorite characters. Whether Disney, Pixar, Dreamworks, Nickelodeon, or Hello Kitty, you're sure to find a Crayola kit that your kiddo will love.